Due to a low industrial entry threshold and a lack of compulsory safety standards, China’s rising solar energy industry is now showing signs of chaos and disorder. There are between 5,000 and 6,000 manufacturers in this industry, but the top 20 combined have a market share of less than 30% of the total. Thousands of these enterprises either collapse or change hands every few years, leaving their clients without service — and solar panels rotting on roofs. Meanwhile, many solar energy factories continue to flock to China’s rural areas. They compete to the bitter end, and don’t hesitate to sacrifice product and quality standards as a means to reduce costs. In other words, dark clouds hover over an industry that once seemed destined for a bright future. Only 53.9 percent of customers are satisfied with their solar water heaters, and “poor quality” has become synonymous with this sector. 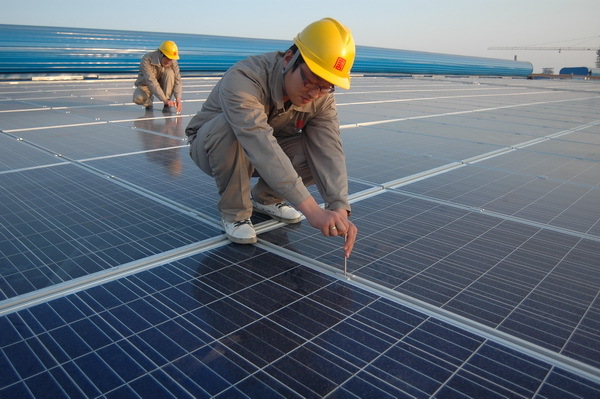 Unfortunately, solar energy is but a microcosm of manufacturing in China. At present, virtually all “Made in China” products have a reputation for poor quality. According to one European Union survey, customs officials in EU member countries seized 1.3 billion euros worth of counterfeit products in 2011 — 73 percent of them were from China. Food and pharmaceutical industry scandals involving melamine-tainted milk, poisonous medicine capsules, clenbuterol-fed pork, and plasticizing agents totally shatter the reputation of Chinese goods. These days, “Made in China” is an almost notorious label. Chinese enterprises tend to have a soft spot for scale. They habitually think “big is beautiful.” This kind of blind pursuit of market share results in increasingly fierce competition. Some companies focus only on immediate interests, and a price war is regarded as the primary marketing strategy. It leaves them without the energy for making the proper technical and technological efforts. This is especially true for those small companies at the bottom of the pyramid that don’t possess technical advantages. They can reduce their costs only one way: by cutting corners at the expense of quality. Indeed, the problem with Chinese enterprises today is quality. Whether it’s solar energy or some other product, they can innovate and guarantee sustainable development only if they stick to the pursuit of quality. Companies are, of course, profit driven. But to be devoid of conscience and earn dirty money is immoral and illegal. In the northeast city of Baoding (保定) in Hebei Province, one man selling fried dough sticks attracted hordes of clients because he promised that they were cooked in fresh oil. This shouldn’t have been an effective sales strategy, but when integrity is rare, a moral conscience becomes a selling point. This illustrates how business ethics are seriously missing in China. By Huang Ming (黄鸣), vice president of the International Solar Energy Society and president of Himin Solar Energy. It's all GIANT CAPACITY, there are many because CHINA is that BIG a nation> equal to all of the MIDDLE EARTH bloc> known as USA + EU + Russia/Eastern Europe + Brasil/Mexico. 1,350 million people in all! Just the textile firms> thousands> has sales from US$50 million to US$4 billion = like it was in those day of PRE CHINA relocated industries in Europe, ATRS, China, Brasil, Mexico, USA, Russia, Eastern Europe states! >>>>> What are you talking about? >>>>i just responded out of FUN.